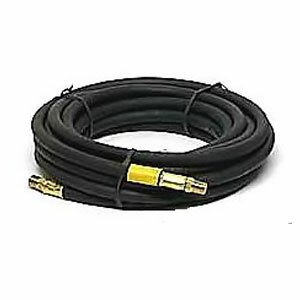 PRODUCT: 1/4" ID x 50', UL listed propane gas hose. With TWO 1/4" MPT fittings. Included is a separate #F-322 1/4” FPT brass coupling. Price/Hose. For use with either vapor or liquid LP-gas. Burst test of 1750 PSI. Ball Valve 1/4 MPT Outlet x 1/4 inch FPT Inlet. 1/4 turn single-direction-flow ball valve with brass body, PTFE seat, buna-n-seal, plated handle. Approved for Natural and LP Gas. Price/Each.